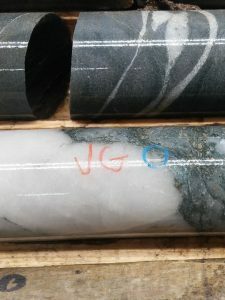 QUEBEC – Bonterra Resources of Vancouver is raising exploration money for its Gladiator gold project 170 km northeast of Val d’Or. The company will issue 19.2 million flow-through shares ($0.60 each) and 13.3 million super flow-through shares ($0.75 each). The lead agent for the offering is Sprott Capital Partners. The agents are entitled to a 6% cash fee, and Bonterra will also issue common share purchase warrants equal in value to 4% of the offered securities. The warrants are priced at $0.60 and must be exercised within 24 months after the closing date. The Gladiator deposit has been outlined to a depth of 1,200 metres and along a strike of 1,200 metres. It remains open in all directions. The 2012 inferred resource was 902,000 tonnes grading 9.37 g/t gold for 273,000 contained oz. More details are available at www.BonterraResources.com.